The Governor of Osun state, Ogbeni Rauf Aregbesola will tomorrow, Thursday present the budget for the 2018 Fiscal Year to the state House of Assembly for scrutiny and approval in line with Section 121 of the Constitution of the Federal Republic of Nigeria. This was contained in a release issued on Wednesday by the state Commissioner fr Information and strategy, Mr. Adelani Baderinwa. 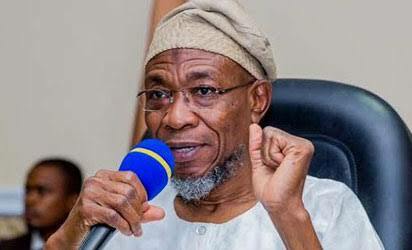 The release reads: "The presentation of the 2018 Budget proposal by Aregbesola is peculiar being the last by his administration in a glorious two terms adventure in government of the State of Osun with a legacy that may be difficult to surpass soon and will definitely outlive Ogbeni Aregbesola himself. The budget is expected to capture the essence of governance and billed to be the crowning glory of the last previous years of Aregbesola’s administration which is already a success with a legacy of good governance. The budget comes with the ability of setting progress march of clear socio-economic agenda for a worthy successor for the good of the people and the state. Ogbeni Aregbesola is thus personally inviting all the elites, leading lights in the socio-economic life of the state, bankers, economists Non-Governmental Organizations, religious leaders, traditional rulers, leaders of artisans and all stakeholders to the Budget proposal presentation. All Executive Secretaries in all the Local Governments and Development Area and Council Areas are expected to attend as a matter of duty and mobilize their constituents to the State of Osun House of Assembly to the event. Financial experts, political functionaries and other stakeholders in the state of Osun are invited to grace the occasion which takes place by 10:00am tomorrow."